Resume Manager enables you to effectively manage your most valuable data…resumes. StaffingSoft Resume Manager provides full tracking of potential employees giving you the essential speed to quickly locate top talent when your organization demands it. Email or fax the candidate. 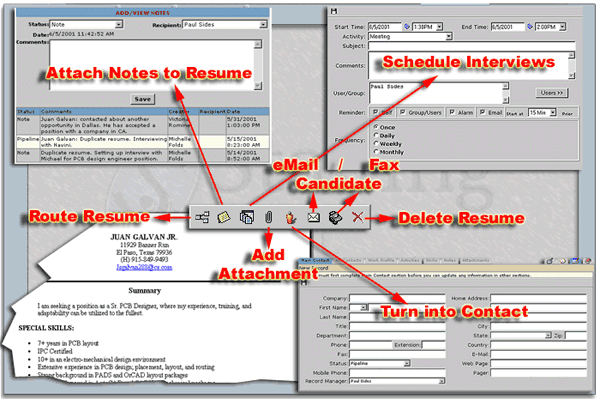 Add Resume to the Contact Manager as an attachment to a contact. Add candidate to Contact Manager. Add resumes to “favorites” folder.